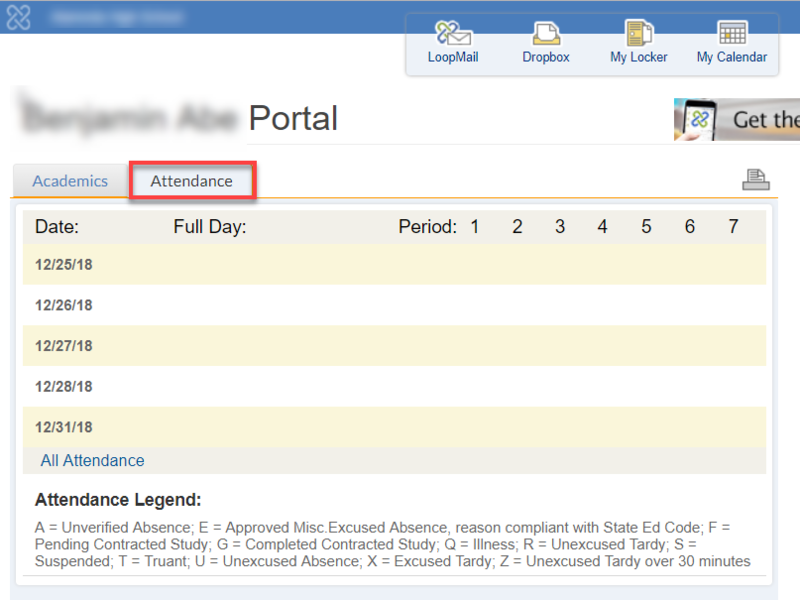 Student Attendance records from your student information system can be imported into School Loop and made available to parents, students, and staff. If you are already using the tab-delimited method for Sloopy imports, then importing attendance data simply involves adding two more files to the daily Sloopy import and adding a few lines to your config file. Click School Settings from your portal. Click Go under Access & Registration Management. Scroll down to the "Attendance Legend" form and enter the legend for your school’s attendance codes. 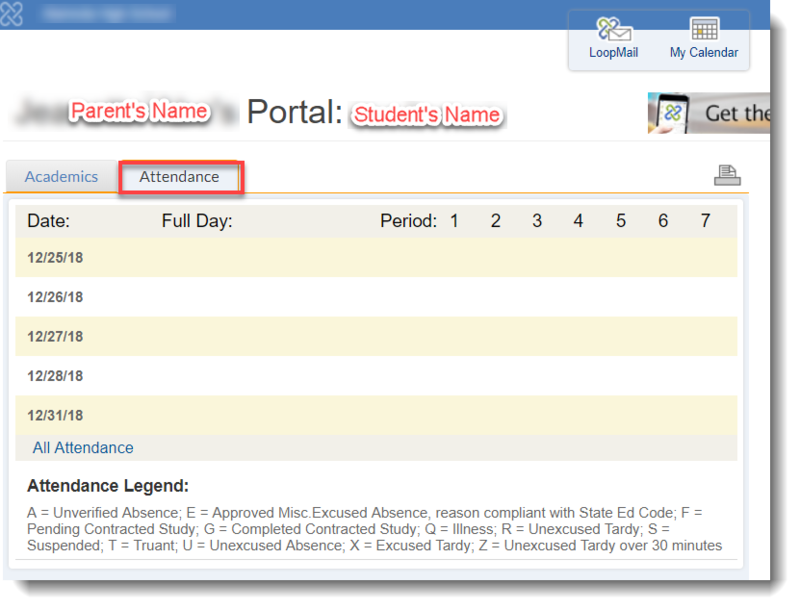 Some basic tags and styling are supported, allowing a tabular layout for your attendance legend. Use the attached custom legend template to create a legend similar to the one below. The following displays the attendance for each type of users once school has chosen to import attendance data. The attendance information for the current week will be displayed on the Dashboard for students and parents. School staff can view the same data in the student record for any student. Attendance can be shown for the full day, by period, or both depending on which data is imported from the SIS. If attendance data is uploaded for each period, then teachers can also see this data, divided by period, in the course on the Classroom Tools page.